Vankovich museum is a branch of the National Arts Museum of the Republic of Belarus. The building of the museum is a monument of the palace architecture. It has been included in the architectural heritage list of the Republic. 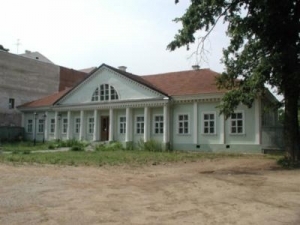 There are three main expositions in the museum:Life and work of Valentin Vankovich (1800 -1842). Valentin Vankovich is one of the greatest Belarusian painters of the first half of the 19th century. Paradoxically, there is no original painting of Vankovich on the territory of Belarus. His paintings were taken abroad in the first half of the 20th century and now are exhibited in the museums of Paris, Vilnius, Krakow and others. In the museum, a wide collection of photocopies of documents and paintings is presented.Belarusian country estate portrait (17-19th century) is represented with the paintings of F. Goretcsky, I. Chrustsky, K. Rusetsky, I. Damel and other well-known artists.Country estate interiors of classical style. Original furniture, works of applied art reconstruct the salon atmosphere of the first part of the 19th century. Concerts of classical music are held regularly in the musical parlor.